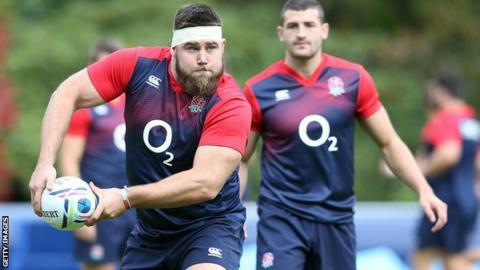 England have added Northampton's Kieran Brookes to their Six Nations squad after the prop made a swifter than expected recovery from a knee injury. Brookes, originally in the squad before having to undergo surgery in December, proved his fitness in Friday's Premiership match against Wasps. He will replace Henry Thomas, who had been an injury replacement for Brookes. The 20-stone tight-head has won 15 caps and could start in Saturday's Calcutta Cup match against Scotland. England head coach Eddie Jones is expected to announce his matchday squad on Thursday.